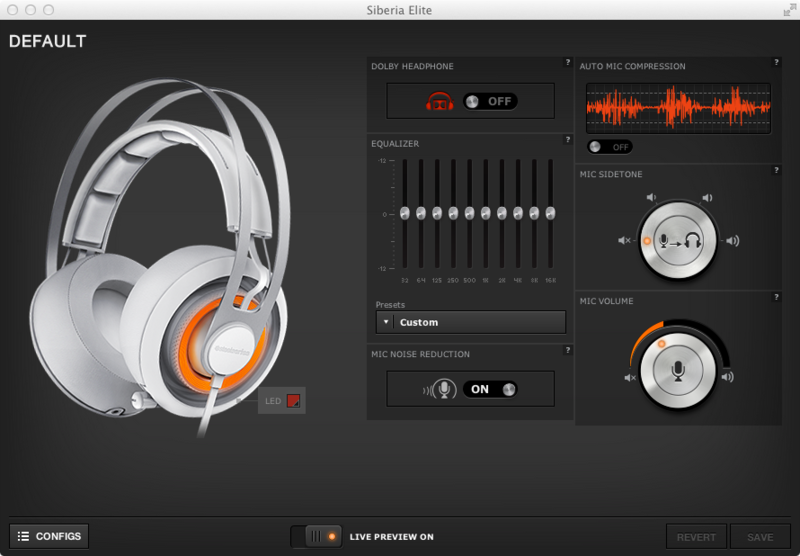 Welcome to the SteelSeries UX Team Software Style Guide! This defines elements for the purposes of software and app development. 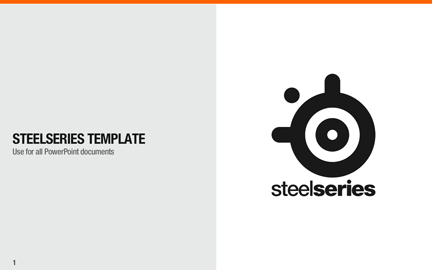 If you are looking for guidelines on logo, font, or brand usage, check out the SteelSeries Brand Guidelines. The Steel Series color palette consists of a foundation of five Primary colors, four secondary colors and nine Highlight colors. These colors were chosen based on the colors gleaned from the website and printed materials. 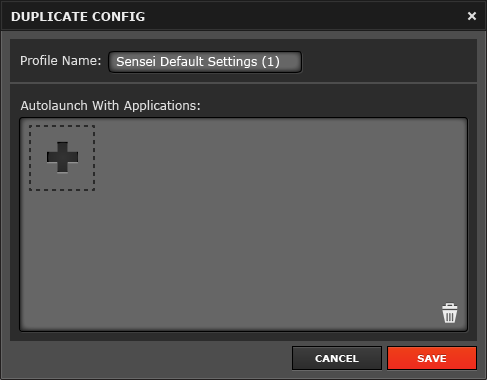 Highlight colors are used primarily for the advanced actions, creating a visual cue for complex categorization. These colors were chosen based on the need for a monochromatic color scale that conveyed similar yet different user actions. Gradients have be used for shading, creating highlights and shadows by changing value, and minor changes of saturation. Verdana was chosen because it is a screen-friendly system font. Use everywhere (body copy, input fields, dropdowns) unless otherwise specified. Always use in sentence case (like this). Use Verdana Bold for headings. Always use this font in all caps. ALWAYS USE IN ALL CAPS (LIKE THIS). Helvetica Neue was chosen because it is widely used in printed materials. Use it for accent fonts. Helvetica Neue was chosen because it is widely used in printed materials. Use it for buttons. Frucade Small was chosen because it was a font that looked crisp at a very tiny size. For use in widgets, and only for numbers. An Adobe Illustrator file containing all elements below can be found on Box for easy use in future comps. 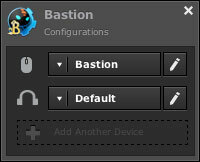 Icons are picked from the Iconic and Gentleface RT icon sets. Icons are chosen for their simplicity and aesthetic quality. Download the full set of vectorized icons from Box. Update the file whenever you add a new icon here. 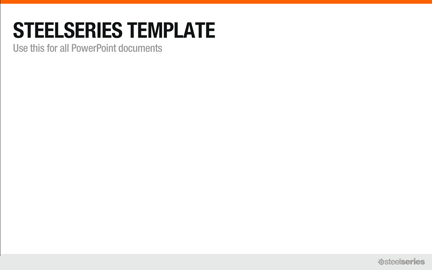 Use the SteelSeries PowerPoint template for all presentations. 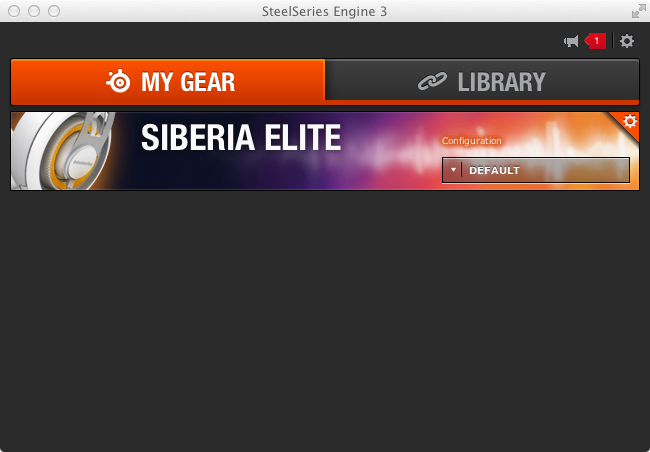 Screenshots of SteelSeries Engine 3 can be found on Box. The folder includes high resolution screenshots for print and lower resolution screenshots for web, as well as all icons used in the software.